Online gig marketplace Fiverr Int. Ltd. announced Wednesday it acquired Phoenix, Arizona-based web content company ClearVoice, Inc. The companies did not disclose the financial terms of the deal, but one person familiar with the matter who spoke to Calcalist on condition of anonymity said Fiverr spent between $10 million to $20 million. In a statement, Fiverr said it intends to operate ClearView as an independent subsidiary. Fiverr was founded in 2010 by Micha Kaufman and Shai Wininger, the latter went on to found insurance startup Lemonade Inc. The company allows users to buy and sell professional services online for as little as $5. 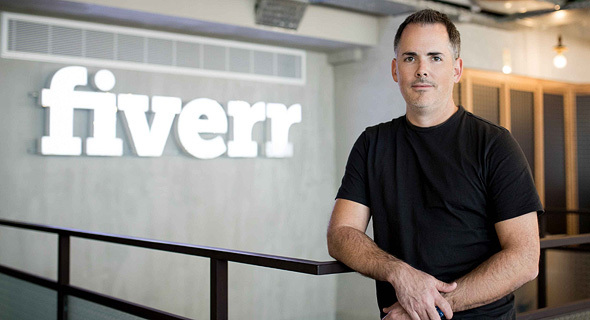 Headquartered in Tel Aviv, Fiverr has additional offices in New York, Chicago, Miami, San Francisco, and Berlin, and has raised $111 million in funding to date. ClearView was founded in 2014 and has raised $5 million to date, according to Pitchbook data. The company offers an online content writing service which connects enterprises with writers in various categories. The company lists companies such as Esurance (listed as Esurance Insurance Services, Inc.) and finance software developer Intuit Inc. as customers.